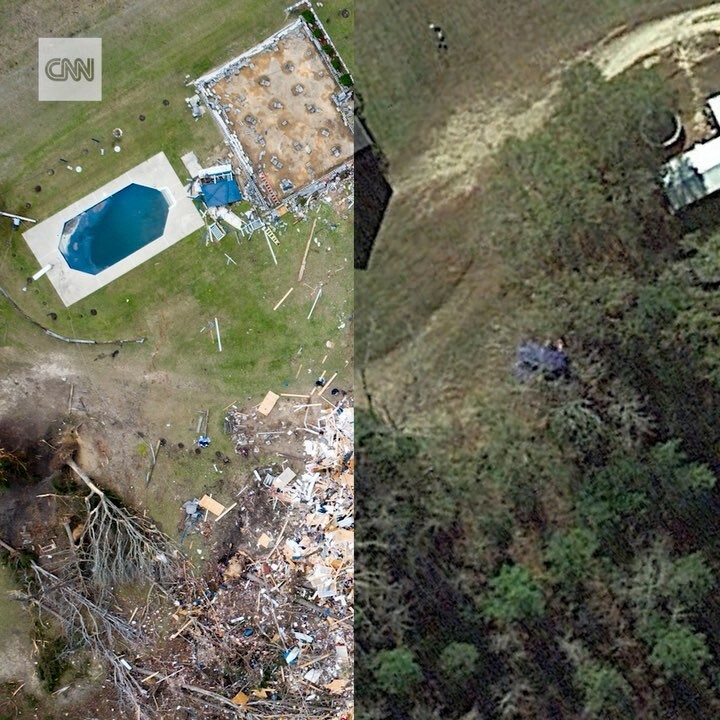 This before and after image shows a section of Lee County, Alabama, that was left in tatters after a powerful tornado ripped through the area on Sunday. The tornado, one of several that struck the area, carried 170 mph winds, had nearly a mile-wide track and ground along for 65 miles. At least 23 people were killed and dozens of others injured.